This weeks project is this set of pretty bird knobs/drawer pulls! 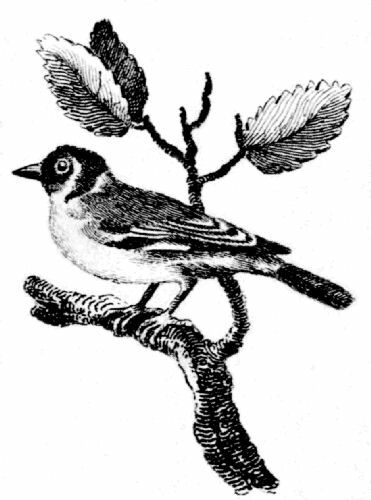 I began with this sweet antique engraving of a bird on a branch, which I converted to a silhouette. You are welcome to use the original image in whatever way you like! I’ve included a printable pdf sheet and instructions below. Step 2: Paint your knobs with the primer first (I did 2 coats) and then paint with a coat of white paint. 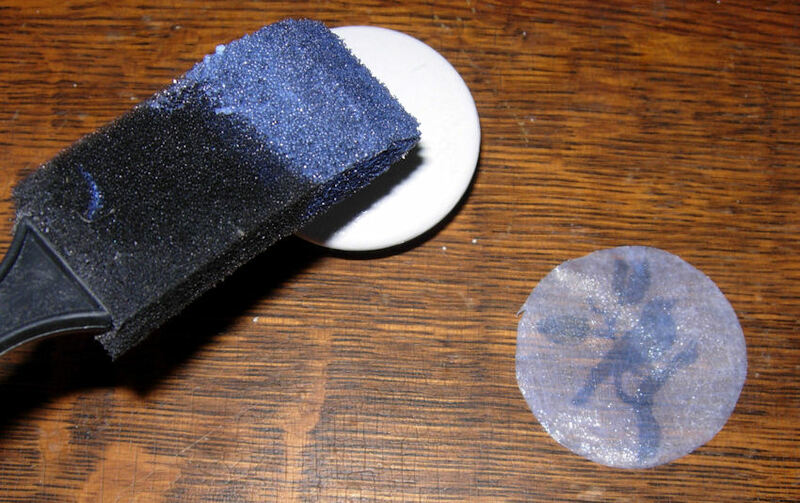 Step 3: While your knobs are drying, you can start brushing the gel onto your photocopy. You will need to brush on 3 coats of the Omni gel. Brush the first coat in a horizontal direction, let dry completely. Brush the second coat in a vertical direction, let dry completely. Brush the 3rd coat in a diagonal direction, and again let dry completely. Step 4: Cut image into a circle (the circle around the image can be used as a cutting guide) and then soak in a bowl of water for 10-20 minutes. 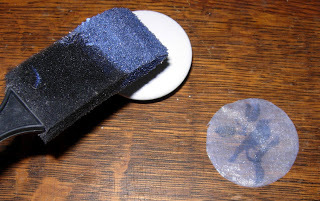 Step 5: While paper is still wet, rub the paper backing with your fingers in a circular motion to remove all of the paper leaving just the gel transfer behind. 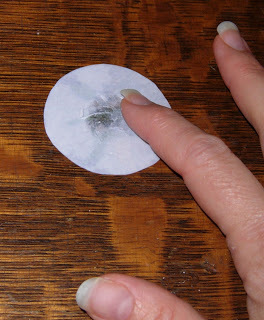 Step 6: Use more of the Omni Gel as a glue to adhere the transfer to the knob. I found that a light coat on just the transfer worked the best, even though you see me putting glue on the knob here, trial and error and all that! Step 7: Press the transfer down and smooth out to get rid of any air bubbles, and let dry. Step 8: Add a coat of Mod Podge gloss over the whole knob to blend it all in. 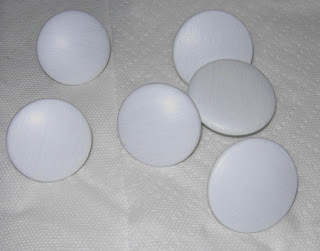 This makes the knobs nice and shiny, and gives them a porcelain like look! All done, now you can put them on a dresser, desk or whatever! Thanks for sharing these birds. I love the look of them on the knobs. Thank you for giving us all these amazing graphics everyday. What a great idea…OMG, my mind is spinning with all the possibilities! I Love those! 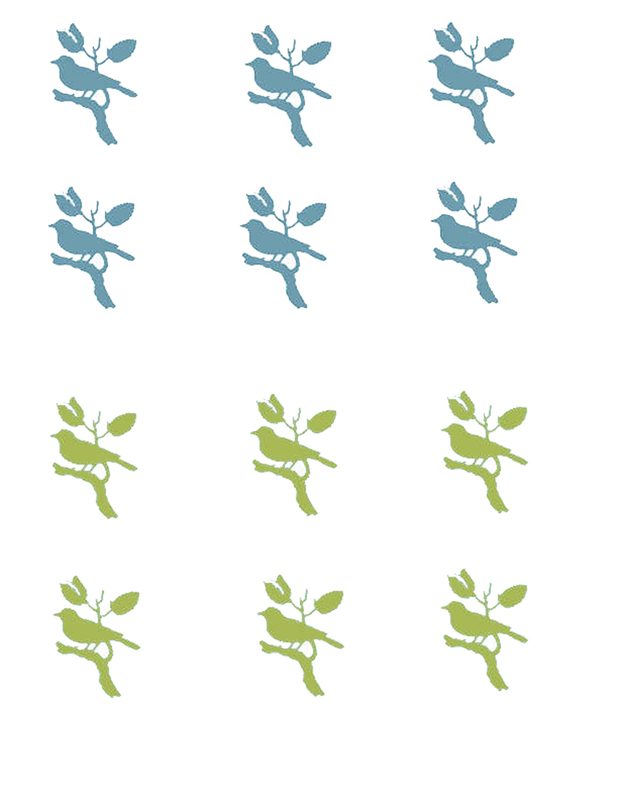 I’m thinking that image would also make a really pretty pendant, or button. Thanks for sharing! I am going to have to give this a try! When I redo a piece of furniture, I usually trade out plain wood knobs for glass. 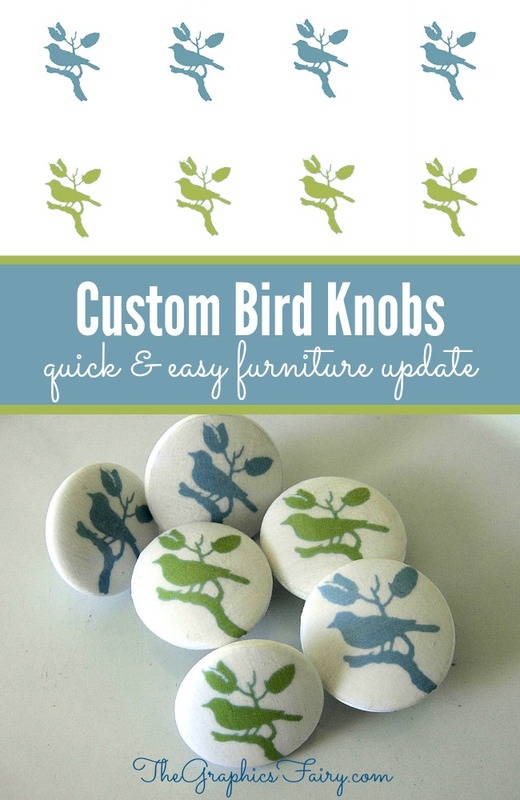 This is a great way to use up my knobs and make them look custom and chic. Great idea! OH Karen! This is just adorable. I really want to put this on my list of things to try out. Thanks for the template!! Thank you so much! Great GREAT idea .. also have you tried using Goldens digital ground medium? I have played very little, but it kind of makes transfers obsolete AND you use an inkjet printer!!! Are you serious? These are too precious! I am in filing this away at thecraftersfilebox.blogspot.com. Oooh I LOVE these! You are so talented! Thanks so much for the detailed instructions… that’s the best part!! Way to go!! Oh my goodness…I’ve never even HEARD of Omni Gel! What an amazing product!! And your pulls turned out gorgeous. Wow…you’ve just opened up a whole slew of possibilities to me with this tutorial. Thanks so much!! I love seeing your graphics used in such an amazing way. Some day we need a tutorial on how you turned the image into a sillouette! What an extremely cooool idea! Love this! You are so creative & clever, Karen! So cute! Great idea. Thanks for sharing. Karen: These are fabulous…my mind is already racing with all the other wonderful images that you have that could be used this same way. Thanks!!!! so cute! i love all these ideas you have! what a great project Karen…thanks for sharing!!! Hi, me again … I was thinking you could make a skin using the digital ground … print on it then cut out a circle and apply to the knob (sorry … that is what I meant .. lol) But I have only tried one thing so far, so I am NOT an expert! this is D.A.R.L.I.N.G!!!!!!! so lovely. THANKS FOR SHARING! Oh my gosh! Those are so stinking cute!!! Thanks for sharing. Oh dear, these are wonderful! I absolutely love them. I wanna post!! So I have been trying to find the perfect knobs for my dresser and voila, you found them for me! Im totally going to do this today in black! Thanks sooooo much!I will send you pictures of my finished project. Wow, I love it, what a clever idea! Stop by for a visit soon. These are so stinking cute! it gives me so many ideas! Love these! 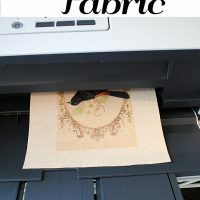 My grandmother used to make lightswitch plates using that same method! If we have our own silhouette that we would like to use….PLEASE let us know what steps you took to make your silhouette blue and green. What a fun project! 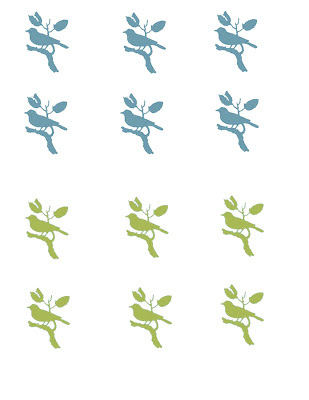 I love the freshness of the bird graphic and using it on the knobs is quite pretty. I love these too – and I just wanted to add how much I’m enjoying your blog! Thank you for it! 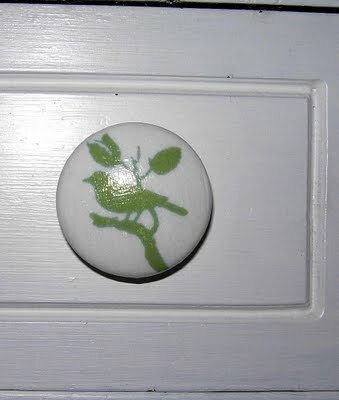 Just gorgeous, thanks for sharing the inspiration, your bird knobs are just so cute. Absolutely brilliant! 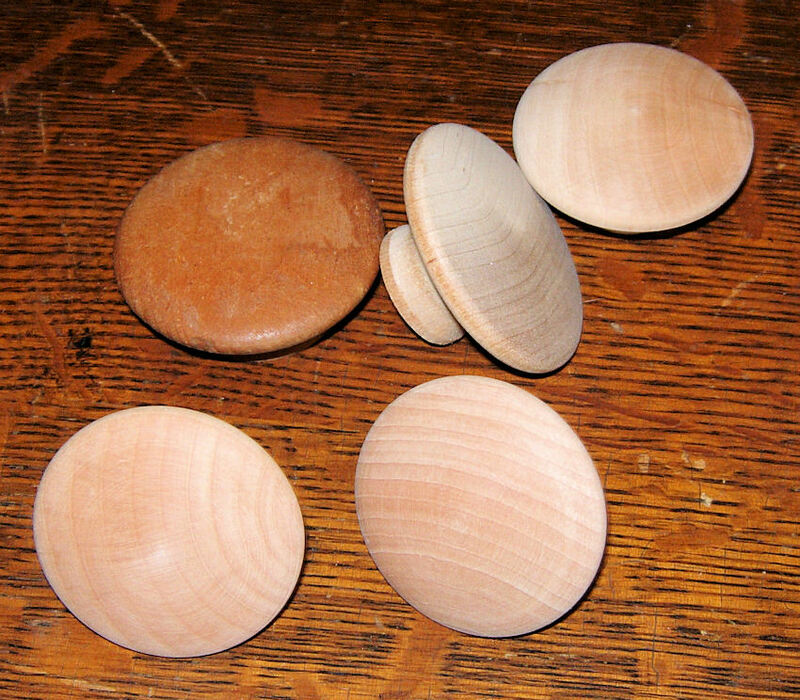 I had no idea one could do that to plain old wooden knobs! Wow, those knobs are incredible! I am thinking of all sorts of things I can do with that technique! Thanks for sharing! wow, you really have too much time on your hands. Amazing knobs. I was so thrilled to read your artist bio and see your gorgeous self on Mary’s blog. Yay! I am so glad you will be hosting a class project, as well. What fun! I love learning new techniques! Off to google that gel right now. So inspiring! FAB. U. LOUS! What an creative idea. I’ll be trying this one! Very nice! I love bird anything. I’m totally in love with this idea!!! It is simply fantastic!!! Thanks so much for the inspiration!!! Just love it!!!! This is an awesome idea! Thanks for sharing. Please come visit my post about my dad’s fresco painting in the cathedrals of Southern Italy. You’ll be amazed to see it and learn about him. I certainly was. Go to TesoroFino.blogspot.com; you’ll be glad you did! These are so adorable. 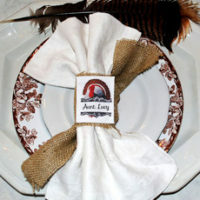 I am inspired to make them for my mother-in-law (who loves birds)as a Christmas stocking stuffer. So cute! What a great idea. Thanks for sharing. I wish I had a dresser to use these on!!!! Those are really cute! I really did think they were porcelain. One thing I’m wondering about. 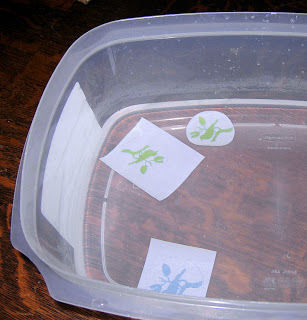 If you are going to glue on the omni gel printout anyway – why not skip all the white paint etc. 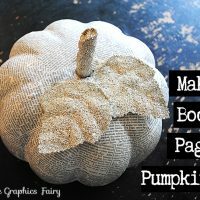 and just print out the image on white paper and then glue it on and use Mod Podge? Then you’d have your white backgroung without all the fuss?? Just wondering if I’m missing something here. Several reasons actually. For one the knobs were mostly plain pine, so the the edges and the backs would have stayed pine, and it would not have matched up. Secondly, I used a mix of knobs that I had laying around, some light pine, some dark pine, and some antique ones that were painted white already, so to make them cohesive the painting was necessary. And thirdly, if memory serves (and sometimes it doesn’t, I did these quite some time ago!) I don’t think the white transfers, only the color does, again I could be wrong about this, I’m just going by what I think I remember!! Thank you Memamah! I’ve fixed the link, it should download fine for you now! is the copy because you have to have a laserjet printer instead of an inkjet printer? Thanks Marisol, have fun making them !